and illustrated in his own life experiences of how to deal with racism. 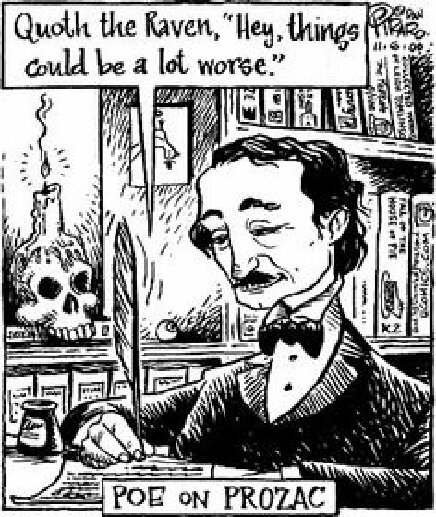 Major mistake of the “Worshipers of Edgar A. Poe” always make. I don’t know why some folk who count themselves as Friends of Poe, refuse to acknowledge that the state of the science of “addiction recovery” in 1848 was non-existent. It wasn’t until the early 1900’s that Freud’s discovery of the psychology of the human mind was even conceived. So Dr. examining E.A. Poe, had no idea what addiction really was, nor how to treat its enviable ‘withdrawal’ symptoms, much less the expected ‘addiction recovery’ process. And it wasn’t until 1935 that Bill W. and Dr. Bob happened on the group therapy called “Alcoholics Anonymous”. Of course no valid diagnosis can be made of an event that happened 166 years ago. Which only underlines the fact that relying on physicians notes taken in 1849 also cannot be conclusive either. Today, in 2015, if you consult The standard American Psychiatric Association diagnostic and statistical manual for “delirium” you will find that it has to be properly assessed before appropriate treatment can be maintained and supported. Poe could have had a head trauma, gone into shock, had a seizure or a stroke; And there is a long process and time within which the body will react to the sudden withdrawal of alcohol and/or drugs. Importantly there is a difference between clinical ‘delirium’ and the notation ‘he was found delirious on the streets of Baltimore, outside Ryan’s Tavern. Poor man just didn’t receive adequate medical treatment, the delirium was not recognized, and patient expired. Snodgrass later claimed the note said that Poe was “in a state of beastly intoxication”, but the original letter proves otherwise. Snodgrass’s first-hand account describes Poe’s appearance as “repulsive”, with unkempt hair, a haggard, unwashed face and “lusterless and vacant” eyes. His clothing, Snodgrass said, which included a dirty shirt but no vest and unpolished shoes, was worn and did not fit well. Dr. John Joseph Moran, who was Poe’s attending physician, gives his own detailed account of Poe’s appearance that day: “a stained faded, old bombazine coat, pantaloons of a similar character, a pair of worn-out shoes run down at the heels, and an old straw hat”. Poe was never coherent long enough to explain how he came to be in this condition, and it is believed the clothes he was wearing were not his own, not least because wearing shabby clothes was out of character for Poe. Moran cared for Poe at the for-profit Washington College Hospital on Broadway and Fayette Street. He was denied any visitors and was confined in a prison-like room with barred windows in a section of the building reserved for drunk people. Poe is said to have repeatedly called out the name “Reynolds” on the night before his death, though no one has ever been able to identify the person to whom he referred. One possibility is that he was recalling an encounter with Jeremiah N. Reynolds, a newspaper editor and explorer who may have inspired the novel The Narrative of Arthur Gordon Pym of Nantucket. Another possibility is Henry R. Reynolds, one of the judges overseeing the Fourth Ward Polls at Ryan’s Tavern, who may have met Poe on Election Day. Poe may have instead been calling for “Herring”, as the author had an uncle-in-law in Baltimore named Henry Herring. In later testimonies Moran avoided reference to Reynolds but mentioned a visit by a “Misses Herring”. He also claimed he attempted to cheer up Poe during one of the few times Poe was awake. When Moran told his patient that he would soon be enjoying the company of friends, Poe allegedly replied that “the best thing his friend could do would be to blow out his brains with a pistol”. In Poe’s distressed state, he made reference to a wife in Richmond. He may have been delusional, thinking that his wife, Virginia, was still alive, or he may have been referring to Sarah Elmira Royster, to whom he had recently proposed. He did not know what had happened to his trunk of belongings which, it transpired, had been left behind at the Swan Tavern in Richmond. Moran reported that Poe’s final words were “Lord, help my poor soul” before dying on October 7, 1849. Because Poe did not have visitors, Moran was probably the only person to see the author in his last days. Even so, Moran’s credibility has been questioned repeatedly, if not considered altogether untrustworthy. Throughout the years after Poe’s death, his story changed as he wrote and lectured on the topic. He claimed (in 1875 and again in 1885, for example) that he had immediately contacted Poe’s aunt (and mother-in-law), Maria Clemm, to let her know about Poe’s death; in fact, he wrote to her only after she had requested it on November 9, almost a full month after the event. He also claimed that Poe had said, quite poetically, as he prepared to draw his last breath: “The arched heavens encompass me, and God has his decree legibly written upon the frontlets of every created human being, and demons incarnate, their goal will be the seething waves of blank despair.” The editor of the New York Herald, which published this version of Moran’s story, admitted, “We cannot imagine Poe, even if delirious, constructing [such sentences].” Poe biographer William Bittner attributes Moran’s claim to a convention of assigning pious last words to console mourners. Moran’s accounts even altered dates. At different points, he claimed Poe was brought to the hospital on October 3 at 5 p.m., on October 6 at 9 a.m., or on October 7 (the day he died) at “10 o’clock in the afternoon”. For each published account, he claimed to have the hospital records as reference. A search for hospital records a century later, specifically an official death certificate, found nothing. Some critics claim Moran’s inconsistencies and errors were due only to a lapse of memory, an innocent desire to romanticize, or even to senility. At the time he wrote and published his last account in 1885, Moran was 65. Poe was originally buried at the back of Westminster Hall and Burying Ground without a headstone. This stone marks the original burial plot today (Lat: 39.28972; Long: -76.62333). All medical records and documents, including Poe’s death certificate, have been lost, if they ever existed. The precise cause of Poe’s death is disputed, but many theories exist. Many biographers have addressed the issue and reached different conclusions, ranging from Jeffrey Meyers’ assertion that it was hypoglycemia to John Evangelist Walsh’s conspiratorial murder plot theory. It has also been suggested that Poe’s death might have resulted fromsuicide related to depression. In 1848, he nearly died from an overdose of laudanum, readily available as atranquilizer and pain killer. Though it is unclear if this was a true suicide attempt or just a miscalculation on Poe’s part, it did not lead to Poe’s death a year later. Snodgrass was convinced that Poe died from alcoholism and did a great deal to popularize this idea. He was a supporter of the temperance movement and found Poe a useful example in his temperance work. However, Snodgrass’s writings on the topic have been proven untrustworthy. Moran contradicted Snodgrass by stating in his own 1885 account that Poe did not die under the effect of any intoxicant. Moran claimed that Poe “had not the slightest odor of liquor upon his breath or person”. Even so, some newspapers at the time reported Poe’s death as “congestion of the brain” or “cerebral inflammation”, euphemisms for deaths from disgraceful causes such as alcoholism. In a study of Poe, a psychologist suggested that Poe had dipsomania. 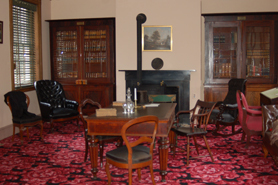 In 1838, the United States Hotel was the site of a banquet honoring George M. Dallas, Lawyer, former U.S. Senator from Pennsylvania,and former U.S. Ambassador to Czarist Russia. And 78 of his fellow lawyers attended. (I found the an invitation card in his Archives at Temple University Libraries), The Hotel is no longer on the three hundred block of Chestnut street. Yeah…this is what Philadelphia needs is a rapid transit line into the north east and northwestern parts of the City & County. I am all for it. November 1, 1914 was a Sunday, and the Evening Ledger did not publish on Sundays. Poeiana – Poe’s Hair/Tell-Tale Lies/Edgar Award to Poe-Land a good friend of George Lippard. And I want to thank my friend and colleague Herb Moscowitz for this notification from the Poe Society! Lippard began his career as a publishing writer in January 1842 when he joined the staff of The Spirit of the Times, a Locofoco Democratic newspaper in Philadelphia edited by John S. DuSolle. Lippard served as a police reporter for several months in early 1842, attending the Mayor’s Court each day and writing up, under the “City Police” heading, the cases that were brought before it: mostly thieves, drunks, prostitutes, vagabonds, and other disorderly types. Collected here is a representative selection of Lippard’s daily “City Police” columns, chosen to illustrate his inventiveness with this journalistic form and the rapid development of his literary ambitions. At first Lippard wrote under the pseudonym “Toney Blink,” and even at the start he facetiously imagined collecting his columns into a book to serve as a school text (A1)—a sign of writerly goals exceeding the police beat—but after a month he announced the retirement of Toney Blink and his replacement by one “Billy Brier,” the pen name he employed thereafter (see A6 below). Lippard had always improved rather freely upon his raw police court material, but the new moniker seems to have signaled a marked escalation of his literary ambition: his characters became all the more colorful, his dramatic persona as a writer became all the more distinctive, and he even pretended one day to be commencing a romantic novel “done up in Bulwerian style, with a small spice of the Bozian picturesqueness” (A8). When “Boz” himself (Charles Dickens) came to town on his first American tour, Brier purported to have received a letter from the distinguished literary visitor requesting a meeting with his fellow “genius” (A9). Dickens’ visit both captured Lippard’s imagination (he admired Dickens immensely), and stirred his resentment (because the respectable literary establishment in Philadelphia monopolized Dickens’ time, fawned over him excessively, and isolated him from low-status penny paper reporters like Lippard). In addition to his “City Police” coverage of Dickens’ visit, Lippard simultaneously wrote a large quantity of other news reports on the matter, which are collected as a separate series here (the “Boz” series, below). In addition to the evidence of growing literary ambition, the “City Police” columns display Lippard’s emerging political indignation. Needless to say, daily reporting on petty crime brought Lippard into contact with the most unfortunate and desperate of Philadelphia’s residents. Although he was wont to make comedy out of their misdemeanors, he was also keenly alert to the social injustice on unmistakable display in Philadelphia’s streets; for example, in “You’d Better Read It” (A13), he tells of the arrest and incarceration of an old man, Jacob Achan, who was hungry and tired and therefore laid down to sleep in a market stall, only to be arrested for the offense. This poor and weary old man provided Lippard with an opportunity to rail against the corrupt bank directors, thieving lawyers, greedy office-seekers, hypocritical ministers, and cheating merchants who would always be the favorite objects of Lippard’s political wrath. The January 5 installment (A1) was apparently Lippard’s first contribution as “City Police” reporter for The Spirit of the Times, and the April 9 installment (A14) was his last. Get a signature like this: Click here!